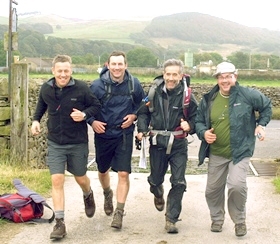 DFS are a Gold Level Partner of The Duke of Edinburgh’s Award Charity. 3. We look favourably on young recruits with DofE Awards. We’re passionate about working with the DofE to support young people across the UK in creating a better, brighter future for themselves, their communities and the next generation. DFS is the number one sofa specialist in Europe – but we haven’t forgotten the principles that created our success. We opened our first store in 1969, we’re still hand-crafting our products here in the UK – and we’re still just as committed to our people, as well as the customers who are at the heart of our business. It’s taken a great deal of effort to build DFS into the company it is today. Above all, it’s taken the hard work of people like DofE Award holders. Individuals from all backgrounds – people who are inspired by the prospect of delivering great service and being rewarded for their achievements. Everyone at DFS has contributed to our success. which is why we’re totally committed to making sure our young recruits have the opportunity of benefiting from accredited training, earning the pay and benefits you deserve – and being given every chance to be the best you can be! If that sounds like what you have been looking for, DFS could be the business for you. A group of our Salespeople that have recently achieved their ISMM Level of Excellence with some of the Senior Management Team.